Prophecy of the Most Beautiful follows Chloe Clever as she struggles with the voices in her head. High school is hell for her and one unlucky day her life changes forever after nearly dying. She's pulled into a world full of Olympian gods and demigods where she discovers she's actually a prophet, the Oracle of St. Delphi. With help from her new demigod friends and the difficult Strafford Law, Chloe sets out to fulfill a prophecy. Battling angry gods, hell hounds and other mythical beings Chloe and company will risk everything to fulfill the Prophecy of the Most Beautiful. I loved Chloe and she was such a fierce and loyal character and her demigod crush Strafford Law is tough but caring but my favorite characters were Ace and Swindle. Funny, loyal, sometimes reckless and Swindle is quite the thief. 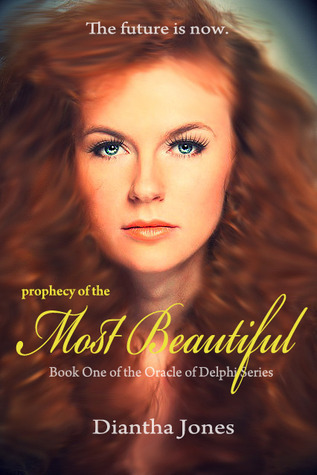 I highly recommend Prophecy of the Most Beautiful to all Greek mythology addicts. You'll find plenty of action, romance and mystery as you try to help figure out the meaning of the Prophecy of the Most Beautiful.